The Center for Health Equity (CenHealth) in the Americas Ambassadors Brigade Fellowship Program under the direction of Dr. Lourdes Baezconde-Garbanati is looking for students interested in national or international research solutions to health disparities that will contribute to closing gaps in vulnerable populations in achieving health equity throughout the Americas in North America, Central America, South America or the Caribbean. 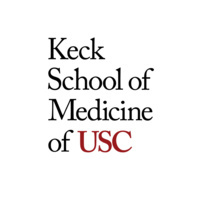 The program is open to USC Keck School of Medicine (KSOM) graduate level students and provides a one-time research stipend to cover cost of conducting research and living expenses in the selected country (national or international) for a period of no less than 6 weeks. Visit the Center for Health Equity in the Americas Ambassador Brigade Fellowship Program webpage for more information. Application deadline is March, 20, 2016 at 11:59pm.